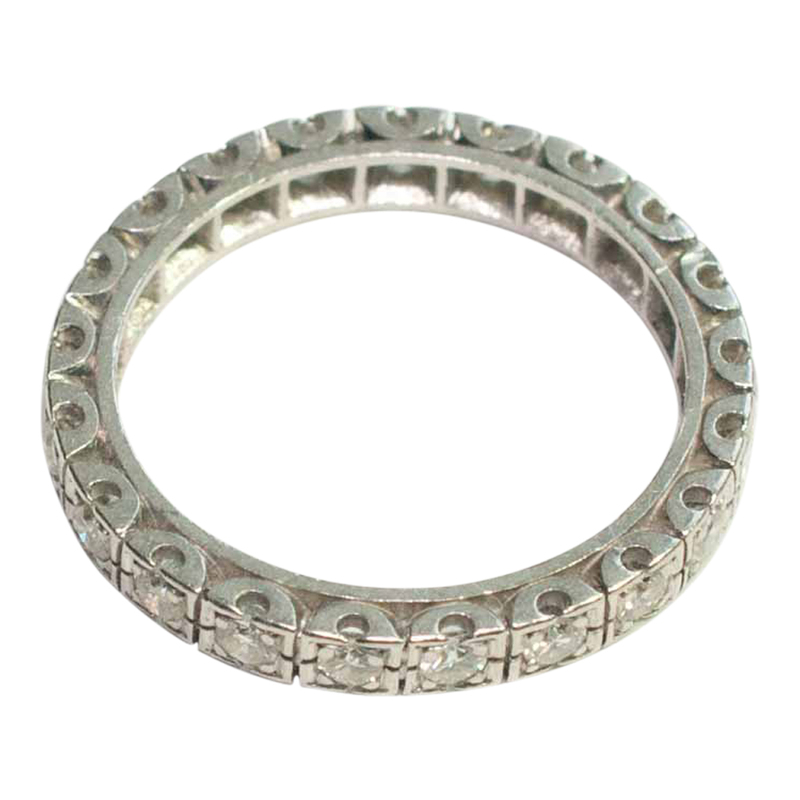 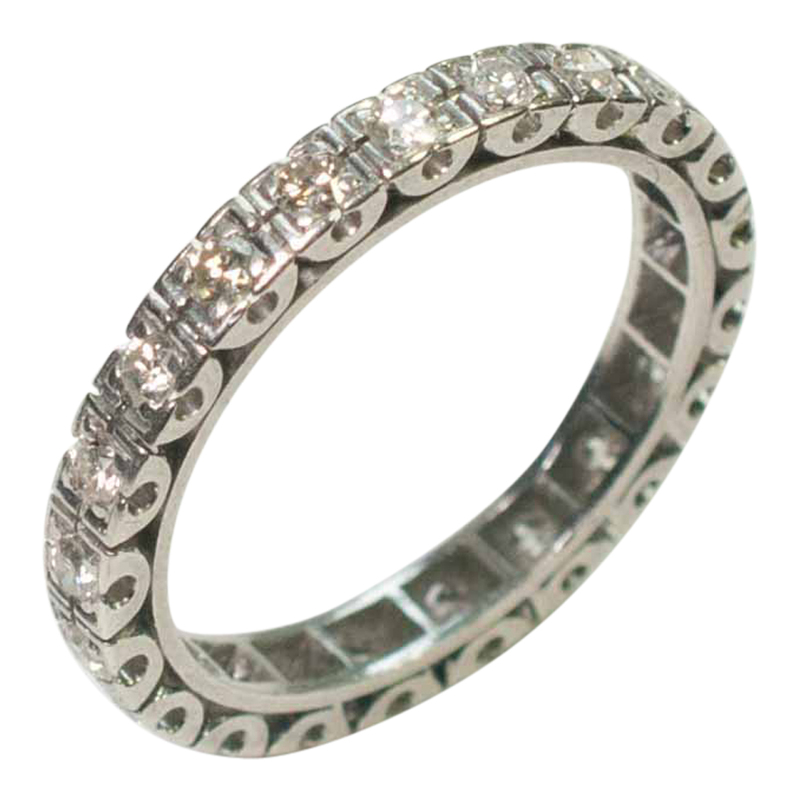 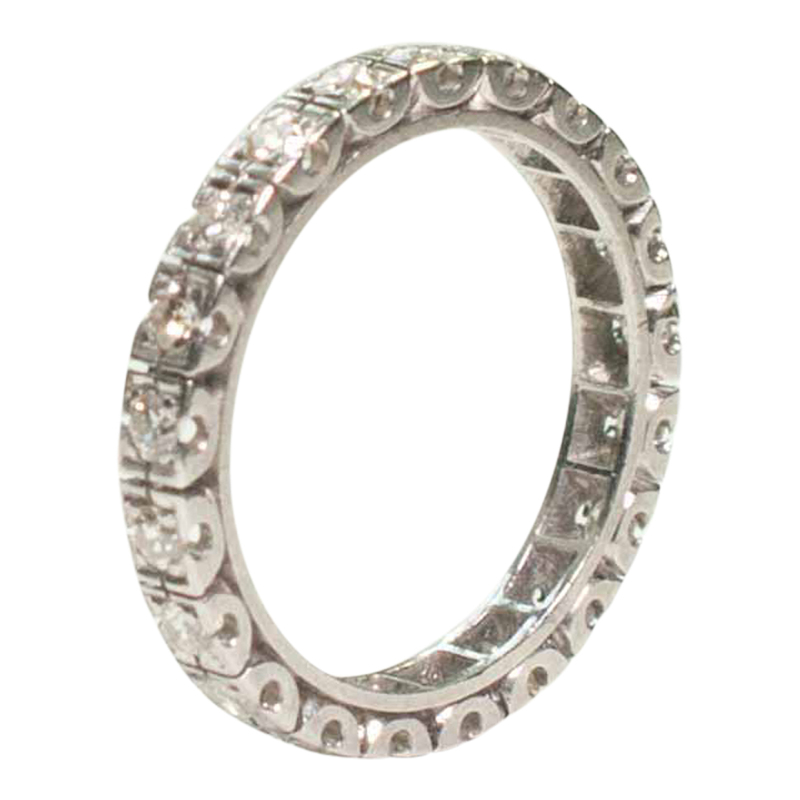 Vintage French diamond eternity ring or 'alliance' as they are known as in France, set in platinum. 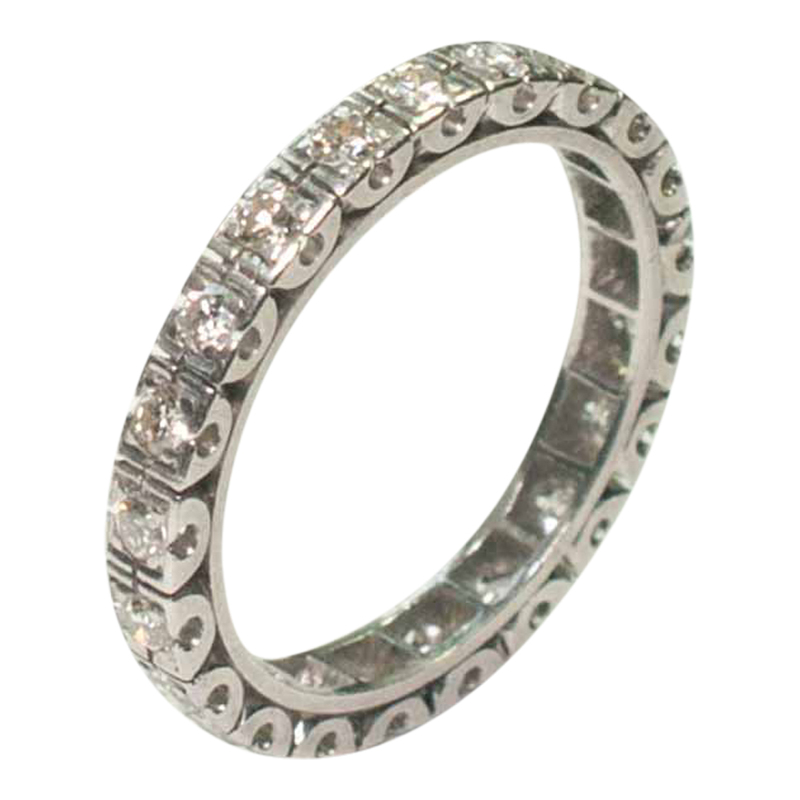 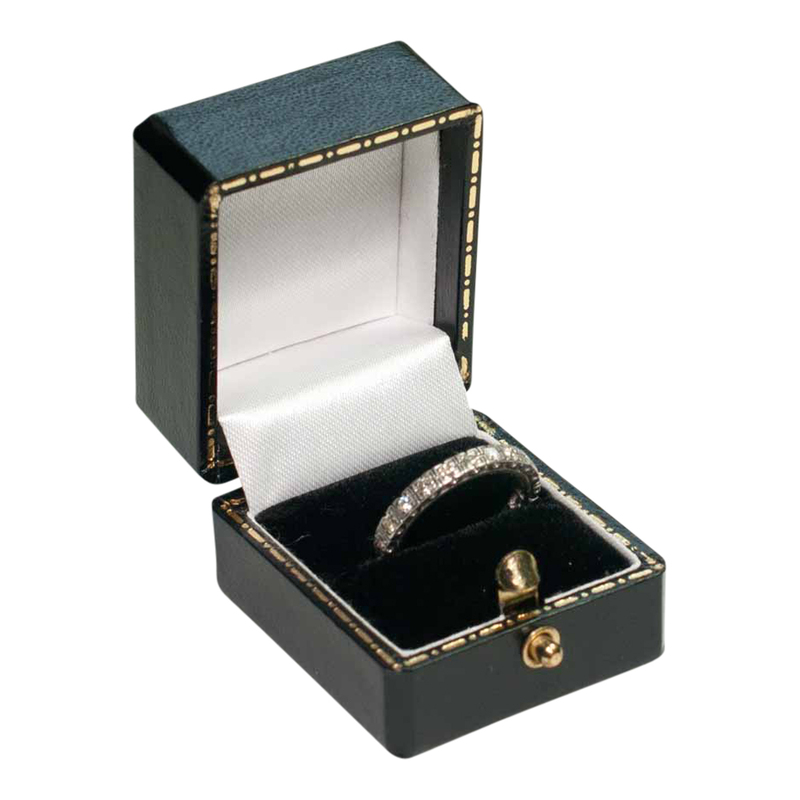 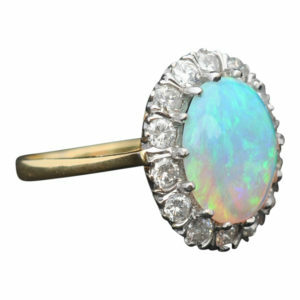 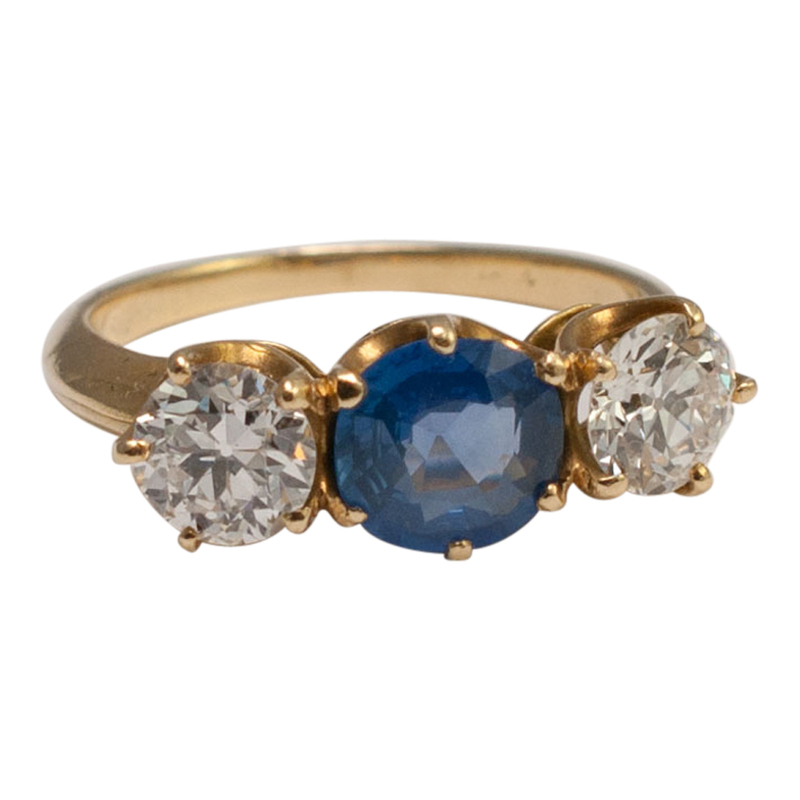 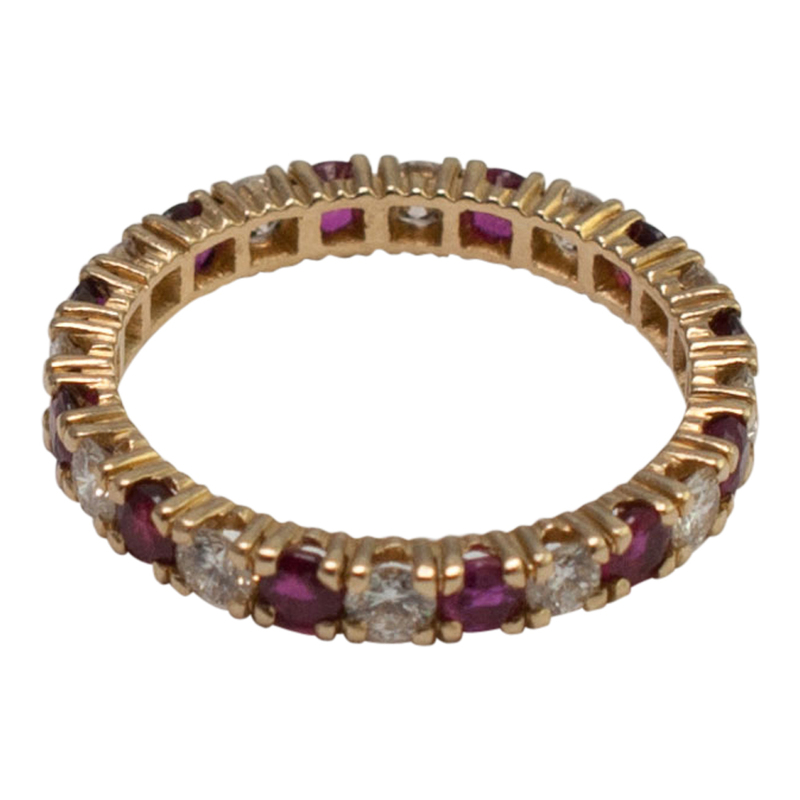 This style of ring is traditionally a wedding ring in France rather than an eternity ring. 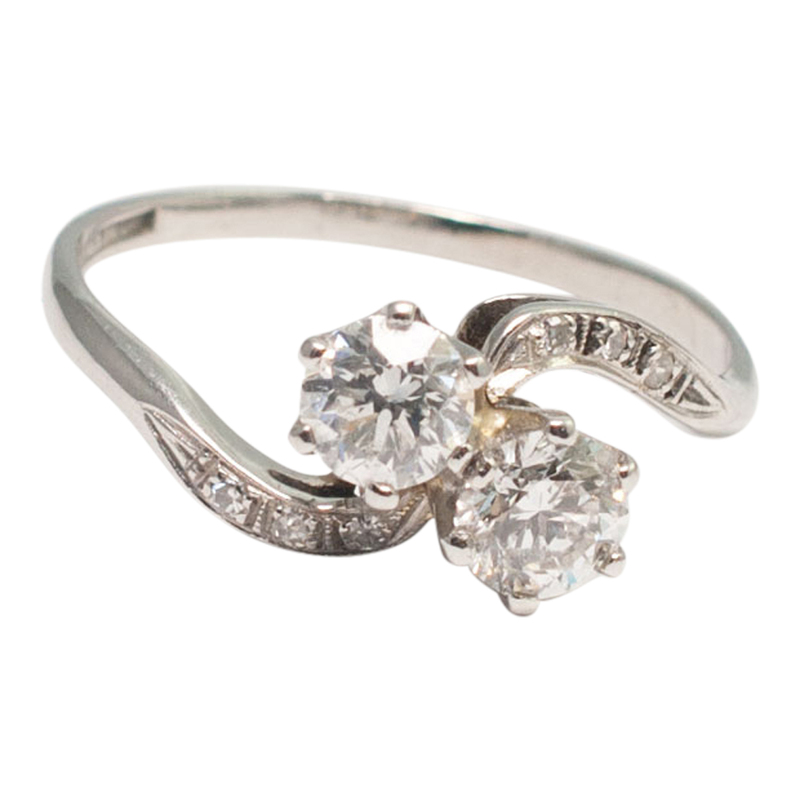 It has 0.63ct of 8-cut diamonds set in platinum and is hallmarked with the French state control mark for platinum (tete de chien). 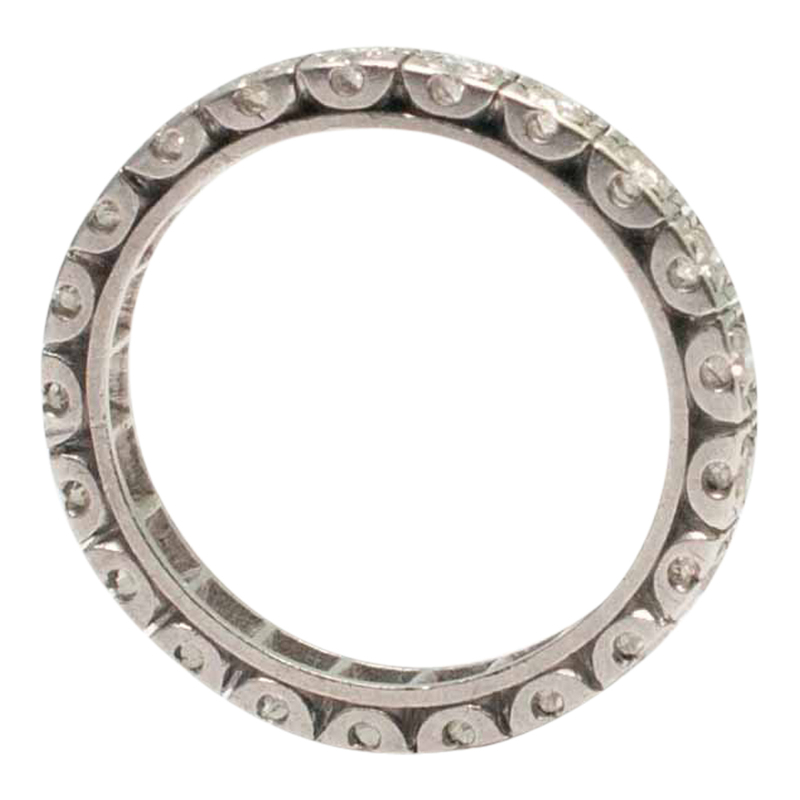 Weight 3.5gms. 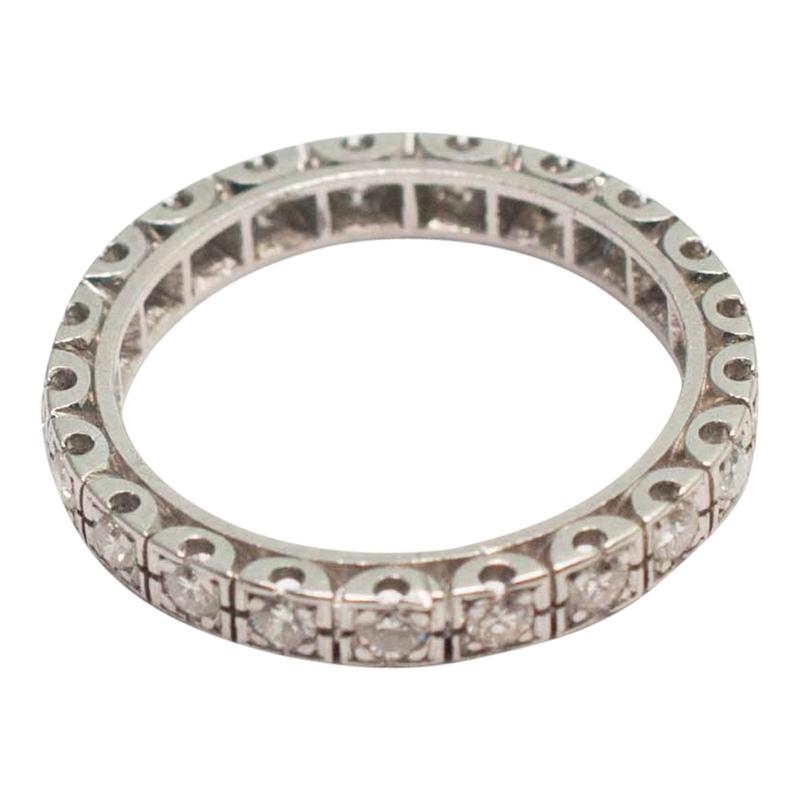 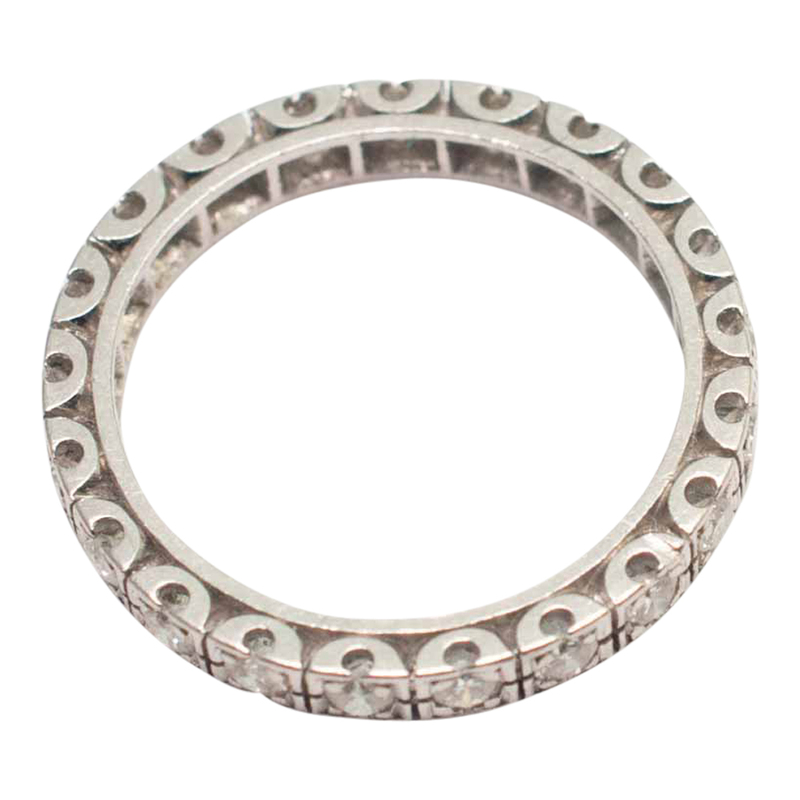 Dating from the 1930s, it is a finger size K (UK), 49.5 (EU) 5.5 (US), and is a really pretty example of an antique eternity ring and is in excellent condition.